So many things happened in the past six months, I really can’t tell how quickly the time passed. As people say the life is what happens to you while you are making plans for the future. I wish I had the time to blog more in the past year and I plan to change this in the New Year! 2014 was really successful for me. I worked on some really interesting projects, configured my first Exadata, migrated a few more databases to Exadata and I faced some challenging problems. This year is about to be no different and I’ve already started another interesting and challenging migration. Same year I presented at Oracle Open World for which I would like to thank Jason Arneil for the joint presentation and E-DBA for making this happen! At the same time e-DBA have been awarded the Oracle Excellence Award Specialised Global Partner of year for Oracle Engineered Systems. 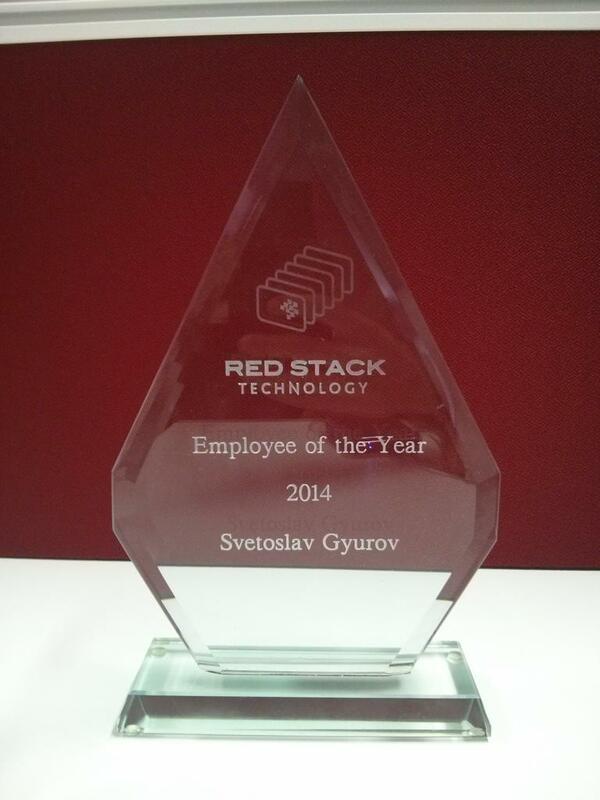 Last but not least I was honoured with Employee of the Year award last month, again thank you E-DBA team!